We all know the feeling, when your hair looks the part, you can run the world, and it falls flat, well, so does your day. A hairdo, good or bad, is such an intrinsic part of how we feel that day, and hair not behaving like you want it to is truly disheartening. My hair always been badly behaved, I may have been spared of the cuse that is fine hair, but because it is so thick, and there is so much of it, it is also bloody heavy! My locks fall flat under their own weight, it starts out like the perfect soufflé, but implodes after an hour or so. A lot of swishing, but not in an elegant, whoosing, movie-star slo-mo kind of way. I must have tried every brand under the sun in my quest for a thickening or strengthening spray, and where one was too sticky, number two created a Beetlejuice-type of hairdo (more like a hairdon’t!) and the third one was a real dud! 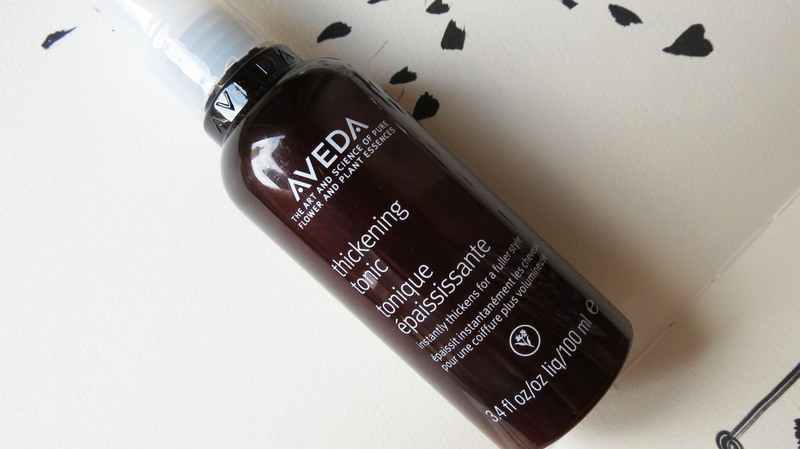 When the Aveda Thickening Lotion* made it’s way into my bathroom, I was, to say the least, a bit hesistant after all my previous attempts fell flat, literally! Aveda has always been one of those brands that floated around in the periphere of my beauty vision, but I never really zoomed in on the brand. Made out of 97% natural ingredients, it is filled to the brim with a cocktail of botanical plumping agents that thicken and expand each hair strand where applied, and supposedly can be used from root to end. The only way to know if this was another dud or the first step towards coiffure heaven, was to give it a try. So the next day, after washing my hair, I dove in. A few spritzes at the roots, in the middle and at the end, a little hairdryer action, et voila, the result was there to be judged! Immediately noticeable was the volume that had been added. Perfectly balanced between enough va-va-voom to be seen, but not going overboard like an 80’s pouffe, with the follicle getting a lightweight muscle boost fom the amla fruit extract. Ok, not feeling the product might be stretching the truth a little, but it’s doesn’t give me sticky roots or crispy, crunchy strands. So far, the best of the bunch! 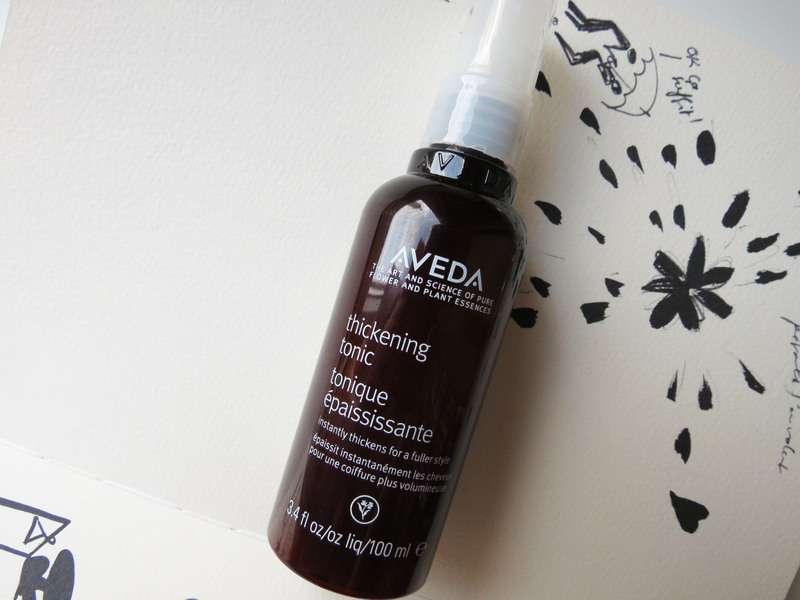 Added bonus is the grit this spray adds to my tresses, they somehow keep their form better when I tousle them with my fingers. One ball, two strikes!